The directorial debut from two-time Academy Award-nominated Beninese-American actor Djimon Hounsou isn’t what I was expecting, given the calibre of Hollywood films he has featured in. But then, In Search of Voodoo is a documentary film that’s far from being prosaic. 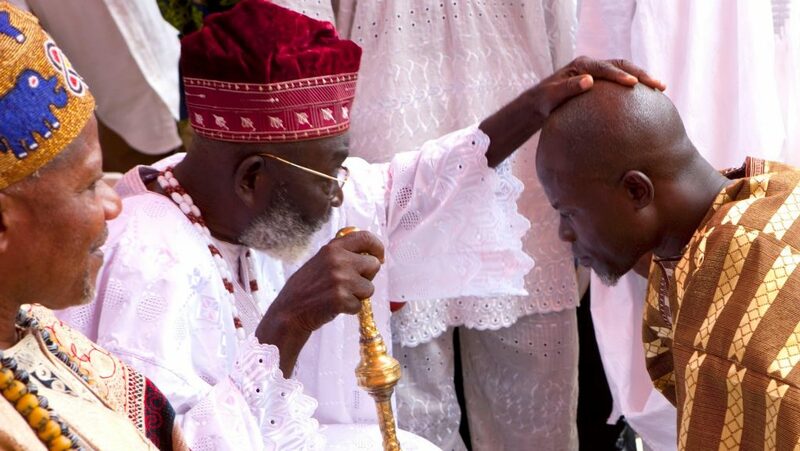 A passion project, maybe, one that takes Hounsou on an investigation into voodooism and its practice in Benin. Demonised by Christianity, scarred by colonialism and crudely misrepresented in Hollywood films, In Search of Voodoo gives an uncompromising and yet demystifying perspective on voodoo. In the trailer, the Blood Diamond star returns to his West African birthplace to visit sacred sites and witness rituals, interviewing scholars who provide an accessible survey of voodoo’s rich history and reliance on nature as a guiding force in the lives of its practitioners. Djimon (whose surname literally translates to ‘born in the house of voodoo) has himself portrayed several mythical characters in his time as an actor and has seen how much care and introspection is put into characters from European religions, voodoo on the other hand, a still living religion is not granted any of the nuance and respect it deserves. Especially with how much it has adapted to remain relevant in a contemporary world, a glimpse into that life, the purest forms of voodoo still practiced in Benin Republic is a rare delight, and a documentary that will become important for the canon of African films by Africans, expounding on our cultures. In the village of Heve, which lies at the western edge of Benin’s coastline, the people have long practised voodoo, celebrating the air god and water goddess Mami Wata. The worshippers file through the streets, resplendent in white robes and draped in beads. The imageries are viscerally profound and stunning, and with Hounsou, it feels we are on a journey of spiritual reclamation. Executive-produced by Lionel Talon, the documentary is a finalist for the fiercely-contested, audience-voted $10000 Knight Documentary Achievement Award at the Miami Film Festival starting March 9, where it will have its world premiere.